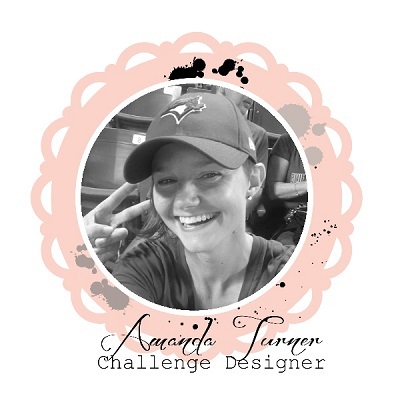 Jari used an eye-grabbing palette of black, white and silver for her frosty design. The snowflake dies she used were a perfect choice for the intricate images of the sketch! We loved the silver embossed sentiment and the one perfect silver snowflake on the horizontal black panel! So stunning! 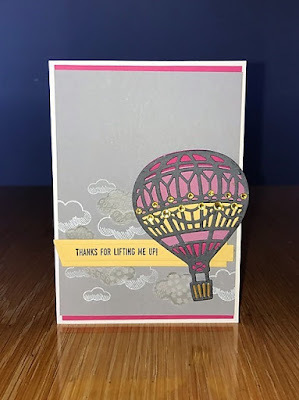 The Design Team loved the creative interpretation of the sketch that Jo-Mo did with the soft vellum clouds lifting up the bright hot air balloon! The clouds were all different, but subtle - not stealing the show from the vibrant balloon with its bling and lovely colours! It lifted us all up! congratulations to you both...hope you join us again this week!